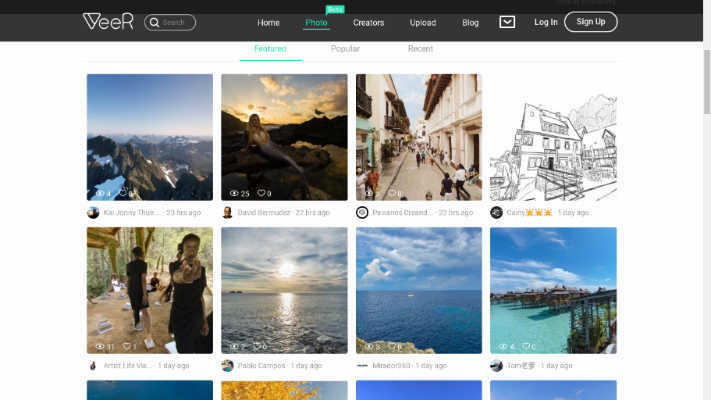 Veer, a social media platform for sharing 360 videos, now supports sharing of 360 photos as well. It becomes one of the few platforms that support both 360 photos and videos, making it a convenient one-stop website to share photos and videos with your friends. Many people (myself included) take both photos and videos. The problem is that some platforms are only for photos, while others such as YouTube are only for videos, requiring you to setup accounts in more than one website, which can be tedious to manage. To share photos on Veer, create an account and click on your profile on the upper right corner of the screen (do NOT click on Upload on the menu bar because that’s only for videos). From your profile, click on the photo tab, and then on a blank photo. Here is a sample I shot with a Panono at 8K (1/4th of its actual 16K resolution).